Boise State Broncos quarterback Brett Rypien warms up before a 2016 game at Air Force Academy. Boise State could very well make this a memorable 20th season for the Mountain West Conference. That’s big preseason talk, but not out of the realm of feasibility given the return of seasoned quarterback Brett Rypien, a stalwart offensive line and a formidable defense. San Diego State Aztecs head coach Rocky Long directs his team in a 2016 game at Colorado State. 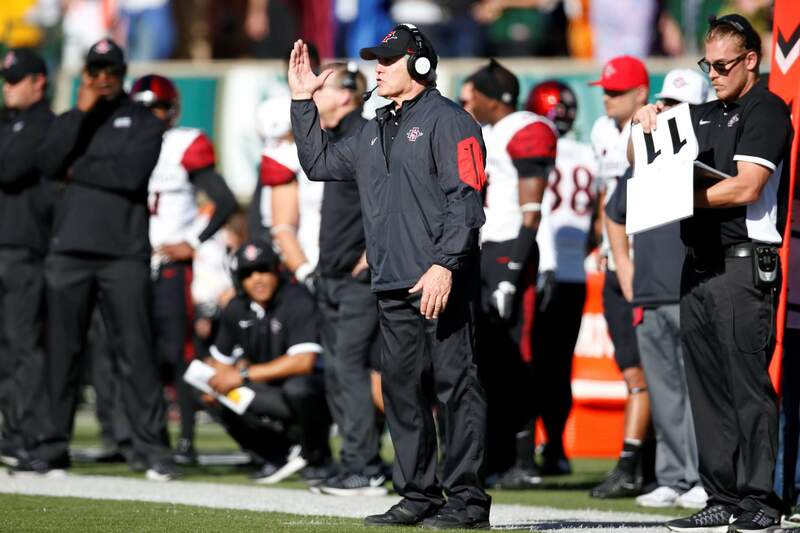 He’s still coaching in the conference, going from head coach at New Mexico to defensive coordinator at San Diego State to taking over as the Aztecs’ head coach in 2011. His squad was picked to finish runner-up in the West. Fresno State head coach Jeff Tedford, left, talks with quarterback Marcus McMaryion during a 2017 game against San Jose State in San Jose, Calif.
Air Force quarterback Karson Roberts, right, gets flipped on his head after a short gain against Wyoming defensive end Siaosi Hala’api’api, back, and safety Andrew Wingard during a 2015 game. 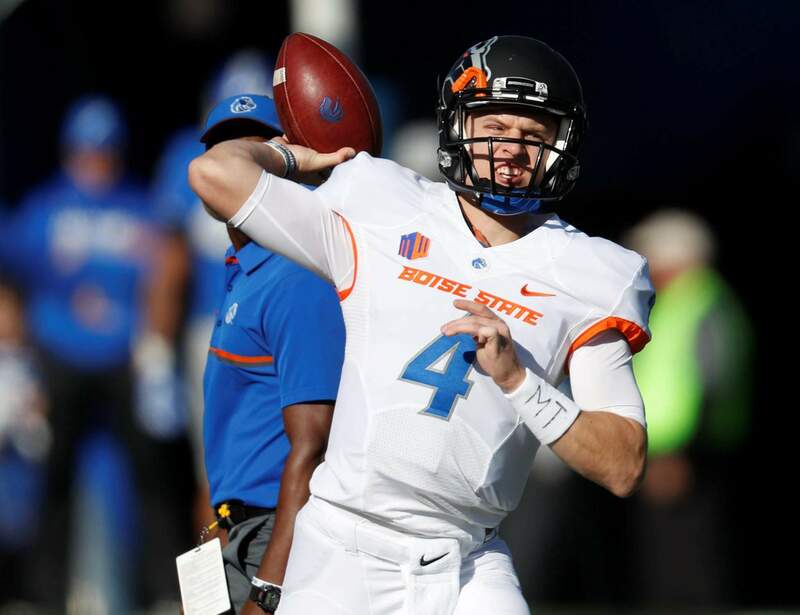 DENVER – Boise State could very well make this a memorable 20th season for the Mountain West Conference. Still, Broncos coach Bryan Harsin is tapping the brakes on all the expectations surrounding his squad, which is the favorite to win the Mountain side of the division. There are plenty of potential pitfalls in the way, including resurgent Fresno State – the pick to win the West half of the league. 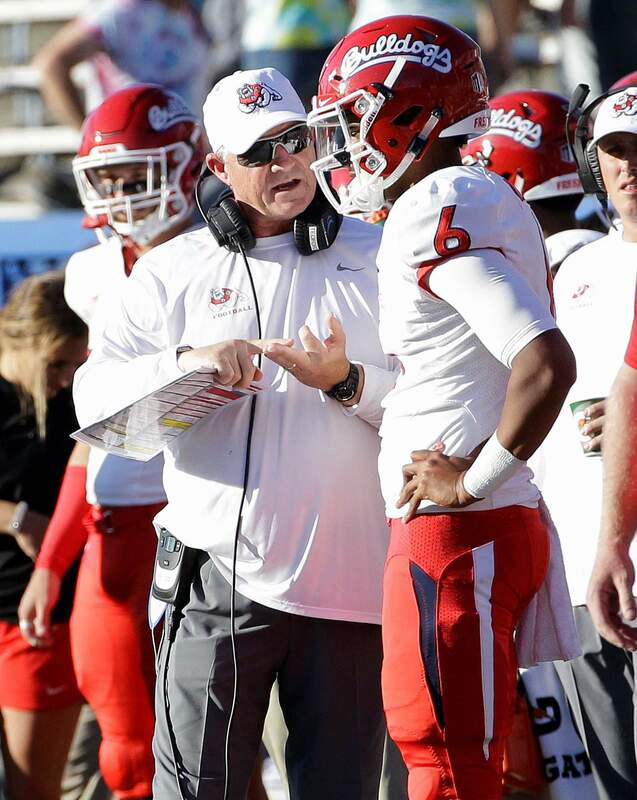 Bulldogs coach Jeff Tedford orchestrated quite a turnaround in 2017, taking a 1-11 Bulldogs team and turning it into a 10-4 squad that beat Houston in the Hawaii Bowl. HISTORY LESSONThe league formed when teams decided to break away from the Western Athletic Conference. Schools have come and gone, with Air Force, Colorado State, Wyoming, New Mexico, San Diego State, and UNLV still going. The conference has seen some top-tier teams depart (Texas Christian, Utah, BYU) and added other high-profile programs (Boise State). PRESEASON AWARDSRypien was voted the conference’s preseason player of the year. He’s thrown for 9,876 yards and 60 TDs over 37 games. 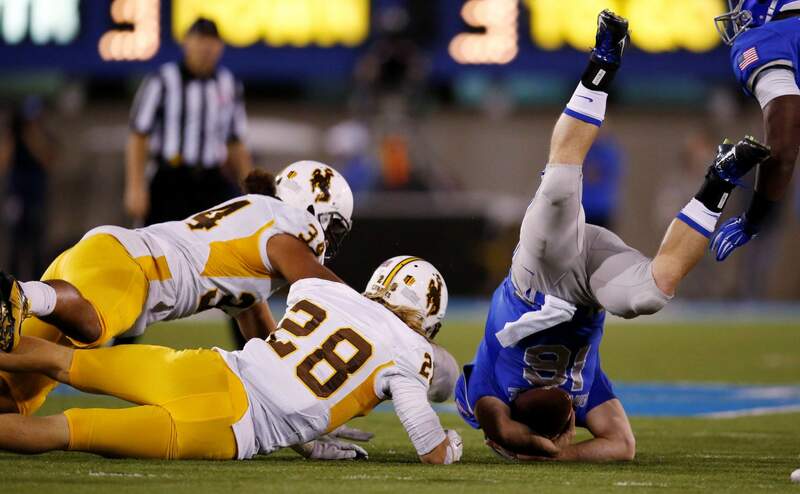 EXPOSUREThe Mountain West has frequently been late-night viewing , with kickoffs after 10 p.m. on the East Coast. It’s the price of being on television, even if it’s not the ideal slot. FACEBOOK FRIENDSThe league will have seven games air on Facebook this season, beginning with two on Sept. 1 – Stony Brook at Air Force, followed by Idaho at Fresno State. Last season, six Mountain West games were on Facebook and reached more than 17 million fans, with the Utah State at Wyoming game on Oct. 14 reaching 4.6 million.